Kalanggaman Island has always been part of my bucket list, so when one of my colleagues invited me to visit this beautiful Island I did say yes even if it was just the night before the travel date. Yes, it was a spontaneous trip. I really hate spontaneous trip most of the time as it can be costly the hassle that lies ahead. But the thrills on not knowing what lies ahead is what makes the trip more exciting and fun. After all, even there are a lot of mishaps and misfortunes during the travel, it can be turned into an amazing one when you have the right company. 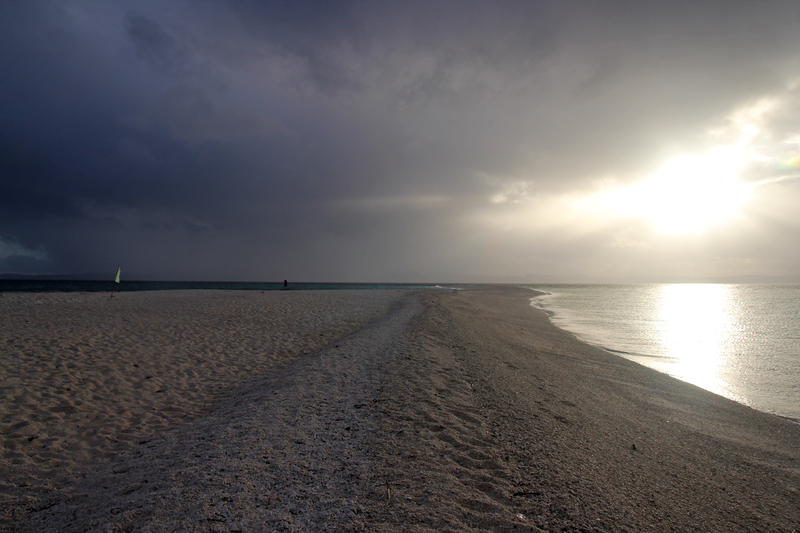 Kalanggaman Island is one of the most pristine and a bit secluded beach in Leyte. 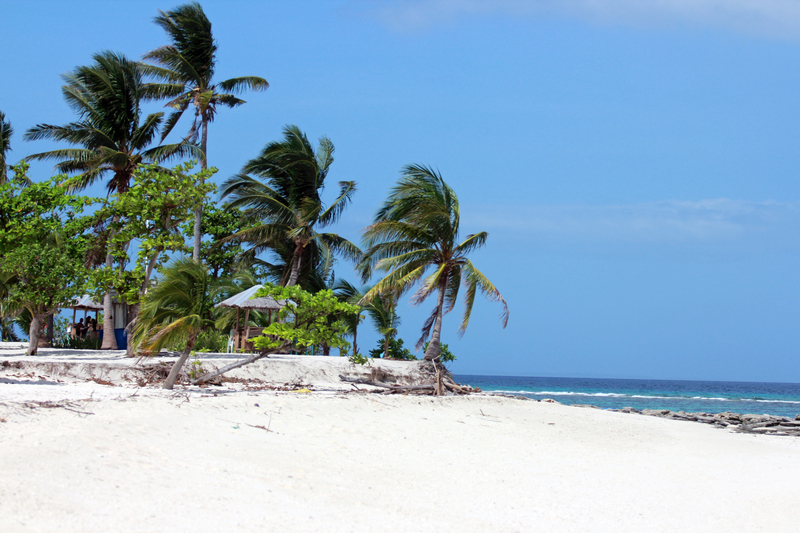 Some considered it as one of the best beach destination in the eastern Visayas. It is truly a paradise for beach lovers. 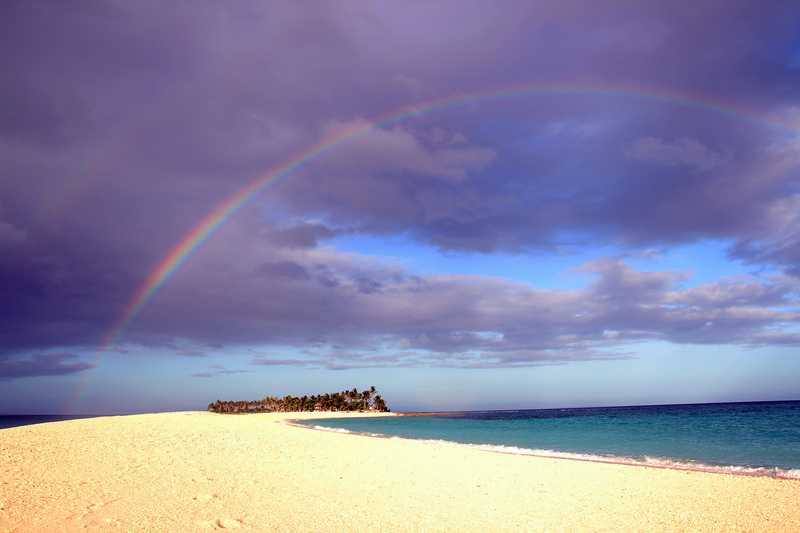 An ocean bliss that lies in the municipality of Palompon, province of Leyte, Philippines. Due to the fact that we decided the trip the night before the travel date, we don’t have much choice on our transportation. We took the fast craft via Ormoc City and then took the bus going to Palompon Leyte. Kalanggaman is an hour boat ride from the town proper of Palompon. Due to the spontaneity of the trip, we weren’t able to call the tourism office ahead for pump boat reservation. We just called the office while we’re on transit. Good thing, there are available pump boats still for us. The only downside was, the rate is a bit stiff for the 4 of us. We took the early fast craft going to Ormoc City. Thus we arrived at around 8 AM in the city and had our breakfast. We proceeded to the bus station going to Palompon. It took us around an hour bus ride. Upon arriving at Palompon proper, we had our last-minute buy for our food and other supplies for our overnight stay on the island. We then went to the tourism office to confirm our reservation. Fortunately, we found another group of travelers. There were 8 of them. The tourism office suggested that we joined their group if possible for sharing of the boat rental. The group happily agreed. It was a win-win situation for both groups, though, lesser share for the boat rent. We waited for our boat schedule and the weather seemed antagonistic. Low pressure is on the eastern seaboards. We sailed to Kalanggaman Island at around 2 PM. The waves went crazy few minutes after. It was my first time to encounter such big waves while riding a small pump boat (good for 15 persons). The waves were about a meter and a half wherein at some point, the motor boat operator had stopped the engine several times for security purposes. The supposedly, one-hour boat ride became one hour and a half. It was really a hell of a ride, we got wet even during that boat ride. We then hurriedly pitch our tent when we arrived as the rain was about to fall upon us. We settled on the island at around 4 PM. 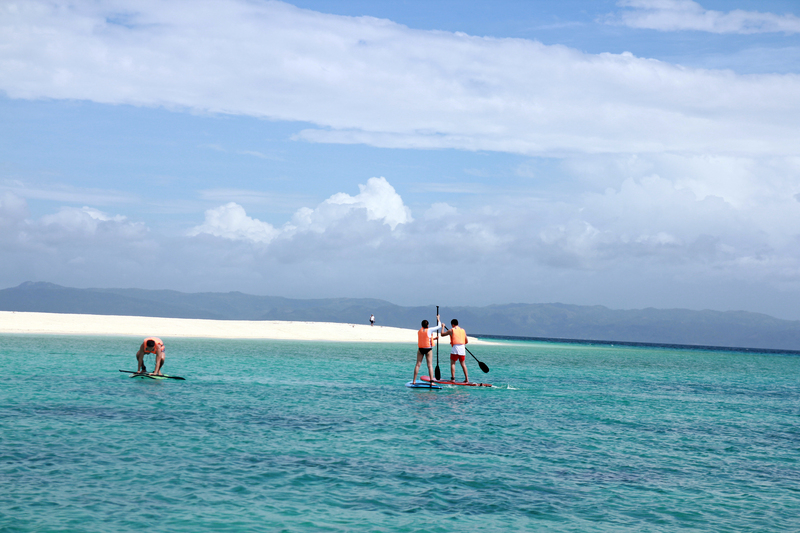 Nevertheless, the picturesque vista of the sandbar is what made the island stunning and almost impeccable when viewed at a distance. Kalanggaman Island is named “Kalanggaman” not because it is the home of birds but because of the shape of the Island. The aerial view of the Island resembles that of the bird, hence the name. 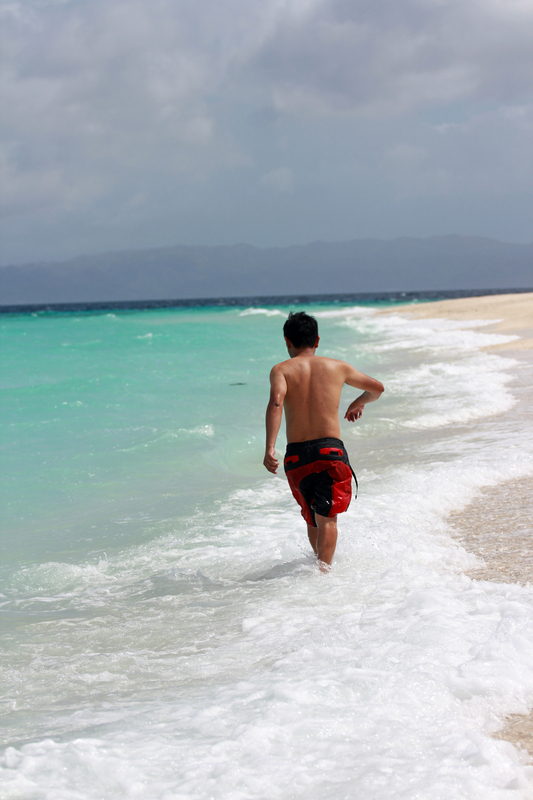 What makes Kalanggaman Island an Ocean bliss is its crystal clear waters. The island itself is worth the long travel. The sandbars are just amazing and picture perfect. The sea is calm and nice to swim. You can even roam the whole island within minutes. Aside from swimming, there are other activities that can be done on the island, like snorkeling. But at some portion of the island, especially at the tip of the sandbar, swimming is not allowed as the rip current is really strong. It’s not often that you come across a pristine island with a beautiful beach. That is our privilege as we gazed out at the slothful sea. The beach was so soft, it felt like we were walking on a glass due to its crystal clear waters. The shimmering sand swept around in a scythe of the beach, hemmed in by beautiful rocks and corals. On the other side of the island is an undeveloped part. There is a small chapel also on the island. On the other side of the island is a small sand bar that would only show when it’s low tide. It is best to watch the setting sun on this part of the island too. Far out to the sea horizon, streams of pulsing light saturated the surface with a golden haze. It was confessional-quiet and this Babylon of beaches felt like paradise. The horizon seemed to be stitched with a line of silver rays as the sky turned into a bloody one. A flock of noisy herons was squawking over our heads and squabbling about something. There was a strange charge to their timeless call as they soared between the wands of God-golden sun as the light fades away. Its lights winked saucily as the wave-crests rose gently. The siren call of the sea was soothing, the wave music welcome. The setting sun laminated us with its beauty. It made us realized then that sunset does not always meant an end but a mark for a new beginning. What has changed in Kalanggaman Island? Kalanggaman Island used to be one of the secluded and pristine. But lately, a lot of tourists flocked in this little paradise all year round. What is a bit shameful is that there is a difference in the rates for foreigners and local tourists. I could not see the point, why the local tourism come up with a bit stiff price for foreigners. In fact, when we go to other countries, they have a flat rate for all tourists, local or foreign. Another change that is clearly noticeable is the improper disposal of waste on the island. Some visitors are not very mindful of their wastes. The LGU or local tourism office should be implementing a strict rule to enforce responsible tourism. 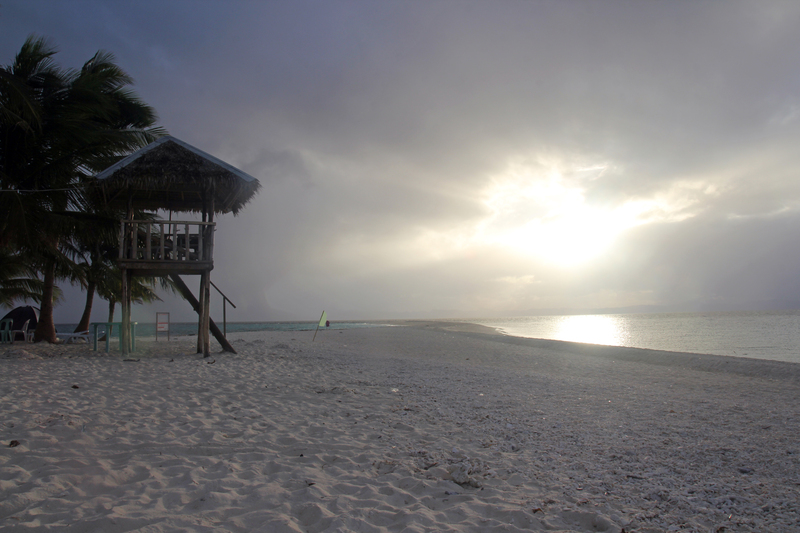 Have you been to Kalanggaman island? How was your experience? Is it worth the long travel? Let us know your thoughts by leaving a comment below. There are no convenience stores in Kalanggaman island. Bring enough supplies like food and water and other necessities. There are no enough rooms and or cottages on the island to accommodate a large volume of visitors. I highly recommend bringing your own shelter like tent. There is no electricity on the island, so bring enough power banks if you need to for your gadgets. The comfort rooms sometimes have no water containers. Bring water containers just in case you need to use the comfort rooms. There are no shower in the island, so if you want to wash up after swimming on the beach with tap water, ask the boat operator to bring you some water with you the next day if you will stay overnight. If you are on day use, bring water during your trip. 10,000 Roses Cafe : The next romantic haven? Spontaneous trips are FUUUUN! Kalanggaman Island is indeed a beauty. 🙂 Reading this made me want to blog about my Kalanggaman Island trip too. I’ve read and heard several different versions of Kalanggaman trips. One thing is consistent and that’s the island is really beautiful and pristine. I haven’t been. For some reasons, it didn’t truly entice me but I’m always in awe with the photos. You have wonderful photos as always and great storytelling. I’ve heard from a friend that someone died when they went there and I think it’s because they went swimming at the tip of the sandbar. The hellish boat ride stories seem pretty consistent too. It reminds me of our island hopping back in Samal Island in Davao. Yes, it was really a hellish ride and most of the stories from those who visited this island were consistent. I’ve been to the island before. I am saddened by the fact that the island’s beauty and cleanliness is slowly deteriorating. I saw empty bottles, tin cans, and plastic wrappers on the beach. The LGU must act and impose a more strict rule. I am also hoping for the island to be not commercialised. We know very well what happens when an island/place gets popular and commercialised. I couldn’t agree more. LGU needs to start saving this island from irresponsible tourists. We’re so opposite Aj because I really love spontaneous trips hahaha! And wow, it’s a good thing seeing 0 crowd in your photos. Kay kato bitaw sauna katong sikat pa kaayo ang Kalanggaman, mura sag gilanggam ang beach tungods ka daghan sa taw. Haha. Pwede na kaayo ko maka anhi! I haven’t been here and this is one of my destinations in my trips. I hope Kalanggaman will still be kalanggaman that time though. Lol. Spontaneous trips are awesome and fun! Like 10000 roses jaunt and some photowalks right? Lol! And thanks for those tips, dapat daghan jud mo mangadtu para maka-share sa cost sa boat. Kalanggaman has been one of my favorite sandbars of all time. I like the mix of tourists there. I wanna go back soon and maybe spend a night there. The first time we came here was back in 2013; I had no idea about the place but we brought along our 6-month-old baby anyway. It was our first time to camp and it was a truly beautiful (albeit nearly sleepless) experience! So it’s named after the aerial view! Now I get it! Been hearing awesome stuff about Kalanggaman but never been there yet. Perhaps HIBSTERs graduation can be held there? Wachathink? Im with Rea on this one. While the place truly deserves all the merit that it can get, I still remain hesitant in checking this place out. For one, I get REALLY anxious when traveling on a pump boat on long hours. And second, that tragic story of the person who got killed there just didn’t sit well with me. Maybe in the nearest future I could muster the strength to go there, but for now, I’m not in any kind of hurry to visit Kalanggaman. That rainbow naman lang jud. Wow. Wowww, what a beautiful island! Have always wanted to go, but I’ve never been to it unfortunately! I had a chance back when I used to work in my last office job, but I was already out of the company when my former workmates had their outing. Hahaha. Wish to go visit it really soon though! Waaaaaa! So many places to travel, so little time! Can we have a summer outing with the HIBsters and go to Kalanggaman Island? Your pictures really tempt me to go NOW!